We offer a range of treatments from hair to nails using brands such as Lâ€™Oreal, Wella, Matrix, Orly and O.P.I to name a few. Eyebrows & Lashes Lash and brow tinting is a popular choice for women today, because there is need for less, or no make-up. We offer a range of eyelash and brow tinting, tidying, perming and extension services that create just the right look to compliment your facial characteristics. Why not give it a try and see the difference? Select a treatment and book your appointment now. Facial From the moment you enter our salon, you will experience a friendly service that is second to none. Be pampered by one of our expert therapists until your skin is radiant and beautiful. Hair Our goal is to make you look your best. Our hair stylists are happy to work with you to get the look you really want. Select form a range of services and book your appointment online. We are looking forward to see you in store. Hair Colour & Technical Our goal is to make you look your best. Our hair stylists are happy to work with you to get the look you really want. Select form a range of services and book your appointment online. We are looking forward to see you in store. Massages Release your bodyâ€™s aches & pains with our back, neck and shoulder massage and leave your body truly reinvigorated. Our body massages are provided by our expert therapists and our oils are of the finest. Pick your massage and book your appointment now. All our massages are strictly females only. Pedicure & Manicure Treatments Our manicures and pedicures are done by our fully qualified beauty therapists who have years of experience in the beauty industry. Our manicures and pedicures are undertaken using professional techniques and equipment to ensure the quality of your nails are of the highest standards. Select a treatment below and book your appointment now. Waxing We offer our clients a friendly and relaxed service whilst being thorough with high standards throughout. We offer high quality waxing experience with minimum pain and prices suitable for everyone. We ensure a fast, thorough and hygienic process. Choose a treatment below and book your appointment now. 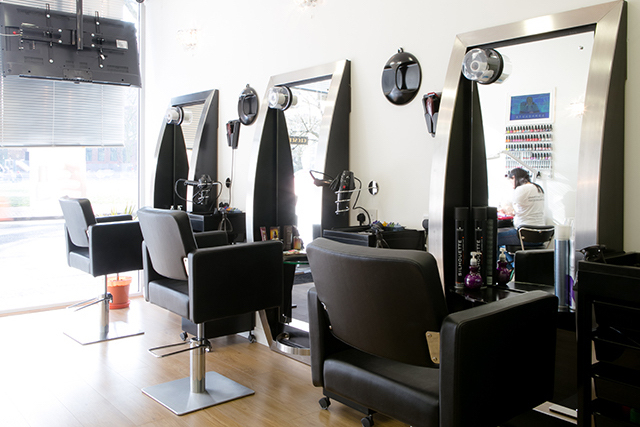 No1 Hair and Beauty is a hair and beauty salon located in Shepherdâ€™s Bush Green next to Nationwide Bank. We at No1 Hair and Beauty are dedicated to deliver the highest quality service possible and we go the extra mile to make you look your best. We take pride in all of our services and we look forward to seeing you in our salon.